Our Awning Sun Shades are made of high strength polyester and constructed with attention to quality. All our sun shades are black in color and easy to install. 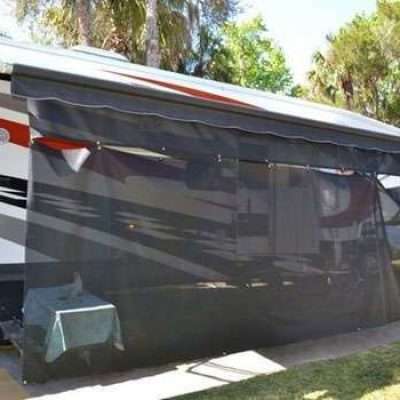 Enjoy both privacy and shade on a hot day with an RV Awnings Mart Sun Shade.